Mobile applications are becoming more and more important for businesses and consumers who are expecting higher quality applications for mobile devices. You have many tools to create your website as you visualize it, it also became essential that you first test your website thoroughly before sending it live on mobile. The major problem here is that you are dealing with far too many mobile devices and mobile OS and hence, testing your website on each of these devices would turn out to be very onerous and expensive. In order to make your task simpler, there are some useful tools available to help you and ensure that your mobile is absolutely mobile-friendly. The constant presence of the mobile phone puts a greater demand on mobile site’s availability and performance. But, as the adoption of the mobile web increases, device propagation, conflicting standards, and limited tools make developing and delivering quality mobile experiences, a challenge for many organizations. The “Gomez mobile readiness test” is designed to help the organizations to quickly assess their site’s mobile readiness so that they can troubleshoot and improve it. Just by entering the URL, the Gomez mobile readiness test returns a score between one to five which indicates how well the site complies with mobile web industry standards like W3C’s MobileOK checker. It also provides analysis of the website’s page weight and detailed test report from 30 proven mobile web practices. The Gomez platform identifies business impacting issues by testing and measuring Web applications from the “outside-in” across all users, browsers, devices, and geographies using a global network of over 10,000 locations. Worldwide 2,500 customers ranging from small to large organizations are using Gomez to increase revenue, build brand loyalty, and decrease costs. Are you looking for a way to see how your web creations look in iPhone? Then don’t look further, because iPoney gives you a pixel-accurate web browsing environment powered by Safari which you can use while developing web sites for iPhone. It is the perfect 320 by 480-pixel canvas for your iPhone development. Also, it is free of cost. iPhoney is not an iPhone simulator, but it is designed for web developers who want to create 320 by 480-pixel websites for iPhone. There are new added features to iphoney 1.2 and it is still open source. What so new in iphoney 1.2? * View source to see the source code for the webpage you are viewing. It is great for checking iPhone targeted pages. * Localized for Norwegian, French, and German users. The World Wide Web Consortium announced the availability of W3C mobileOK checker. It is a free service that performs various tests on a web page to help the developer to determine its level of mobile-friendliness. 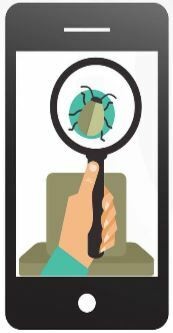 MobileOK checker builds on the suite of quality assurance tools already offered by W3C and “it does a nice job by helping the developers to improve their content one step at a time”. To help and ensure the best user experience across a wide variety of mobile devices, the Mobile Web Best Practices Working Group defined a set of guidelines to follow while creating the web documents. From there, the working group determined which tests could be automated while creating the mobileOK checker. * XHTML Basic 1.1 for mark-up format. * Images should be small and it should be in the form of GIF or JPEG. * The whitespace and comments should be removed by adding the cleaning step in the publication process. * The page size should be under 20KB and the mark-up should be under 10KB. * If you are using scripts, ensure that scripting support is not required. * Do not use frames, pop-up’s or applets. The W3C mobileOK checker is definitely a good place to make your site more mobile friendly. mobile web testing tools Mobile applications by admin.